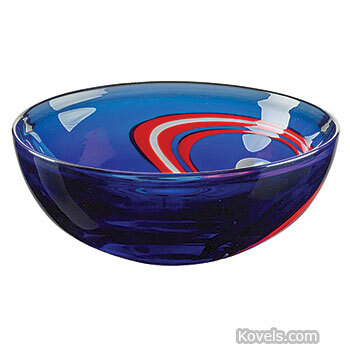 Venetian glass has been made near Venice, Italy, since the thirteenth century. 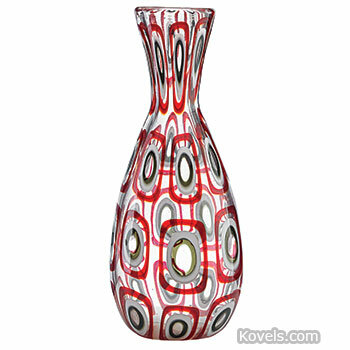 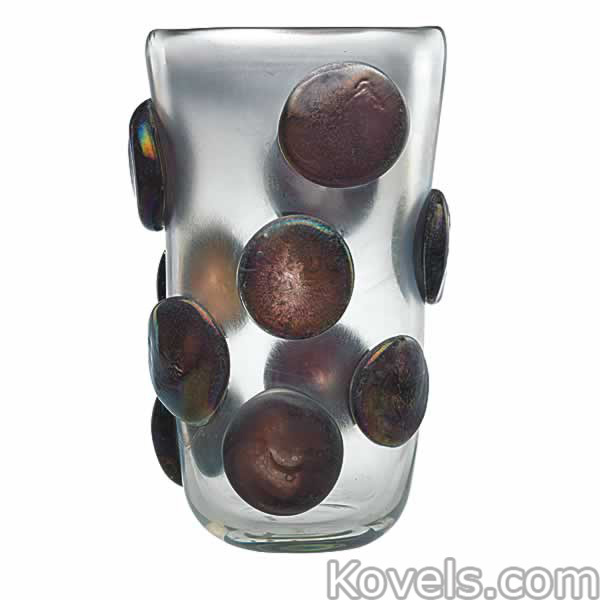 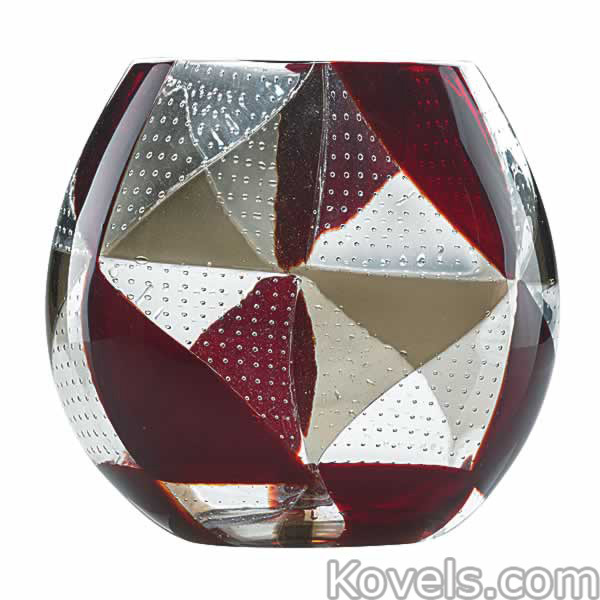 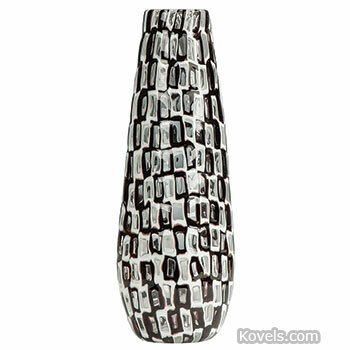 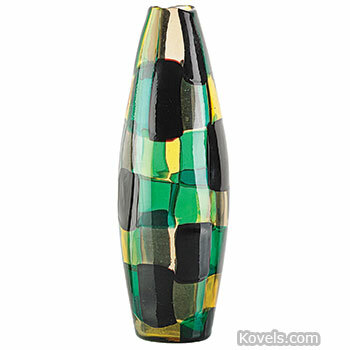 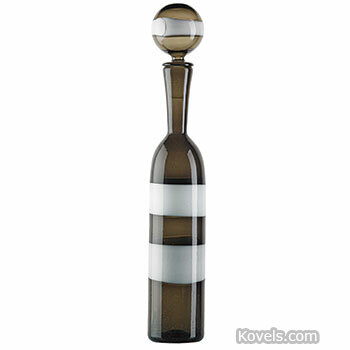 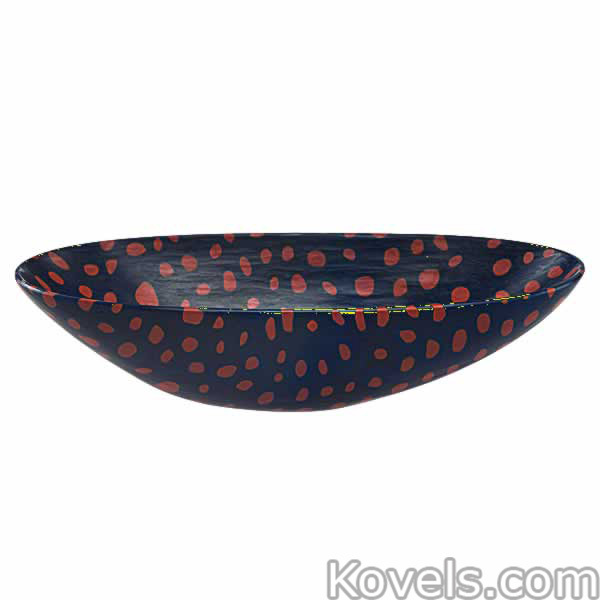 Thin, colored glass with applied decoration is favored, although many other types have been made. 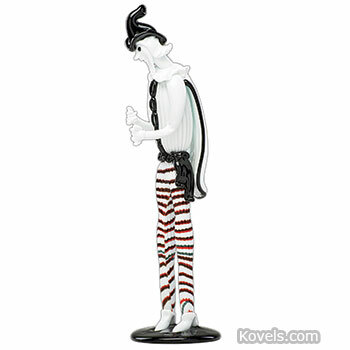 Collectors have recently become interested in the Art Deco, fifties, and late twentieth-century designs. 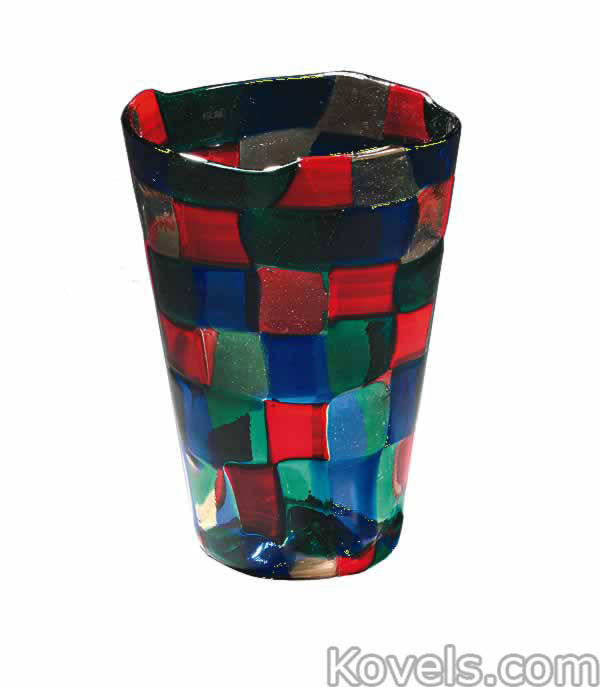 Glass was made on the Venetian island of Murano from 1291. 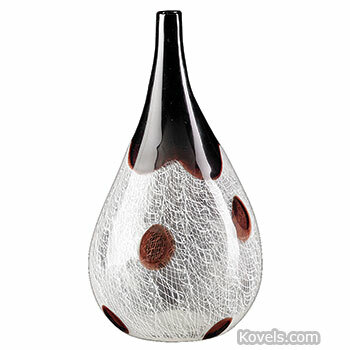 The output dwindled in the late seventeenth century but began to flourish again in the 1850s. 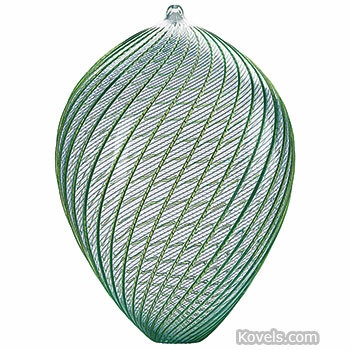 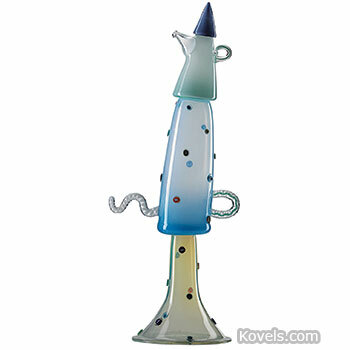 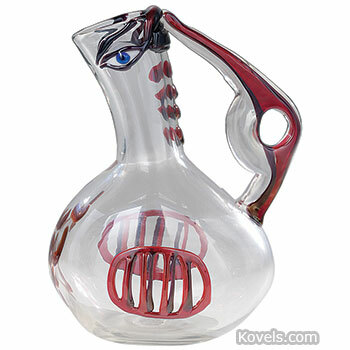 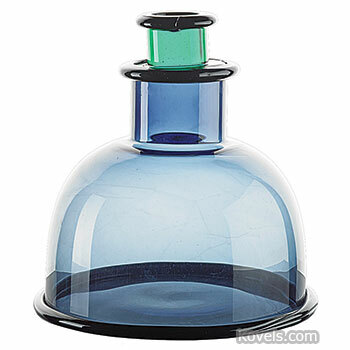 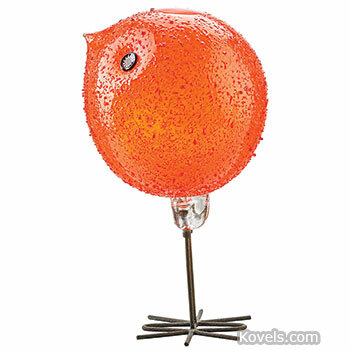 Some of the old techniques of glassmaking were revived, and firms today make traditional designs and original modern glass. 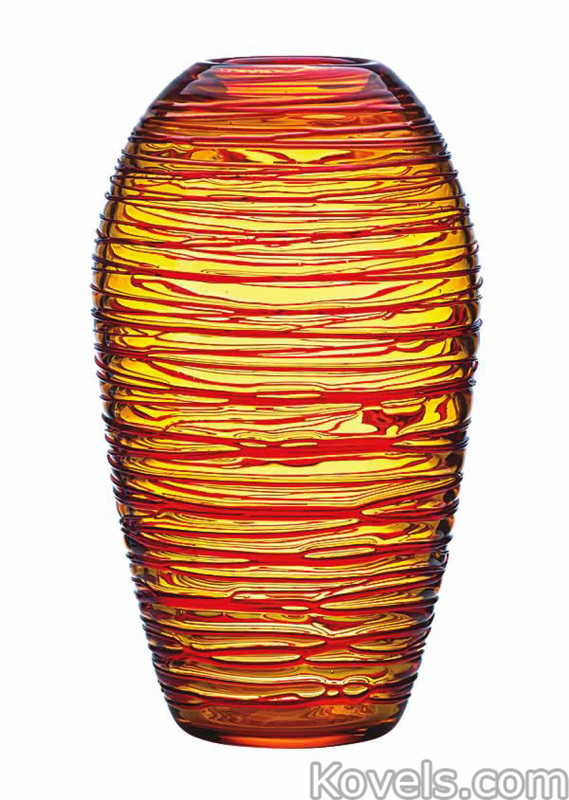 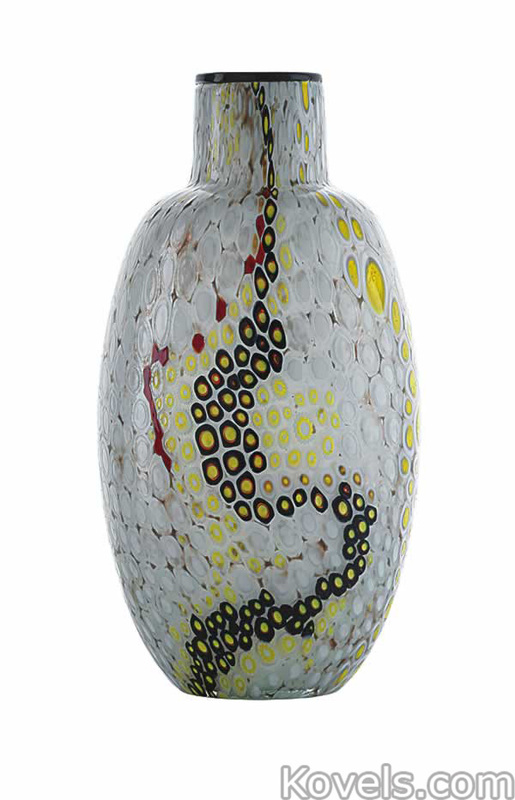 Since 1981, the name Murano may only be used on glass made on Murano Island. 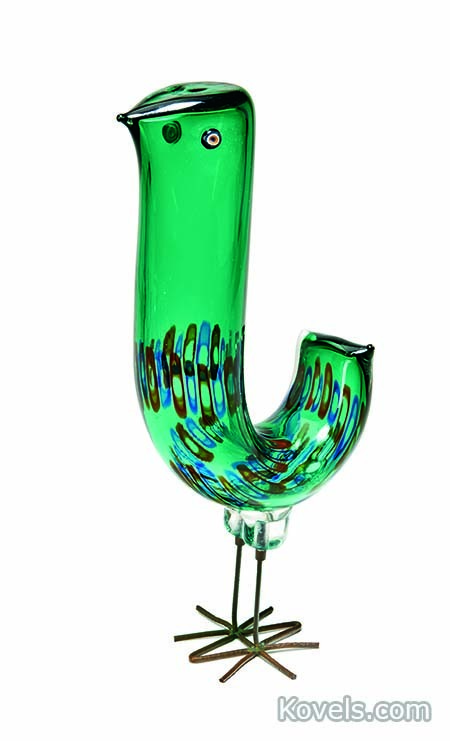 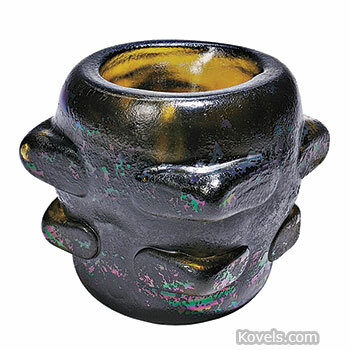 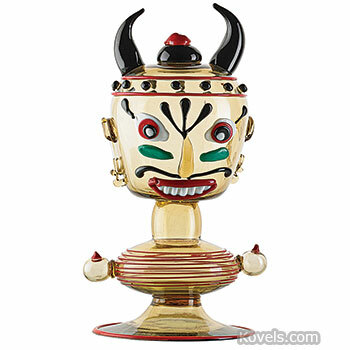 Venetian glass is known to have vivid colors, figural shapes, and intricate designs. 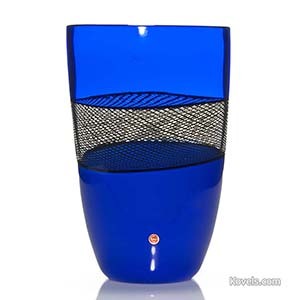 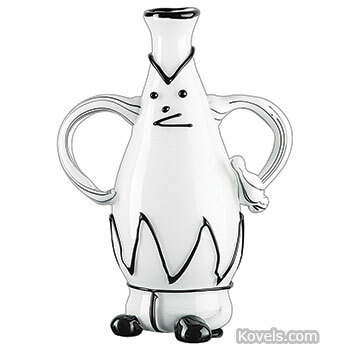 Other pieces of Italian glass may be found in the Glass-Contemporary and Glass-Midcentury categories of this book.